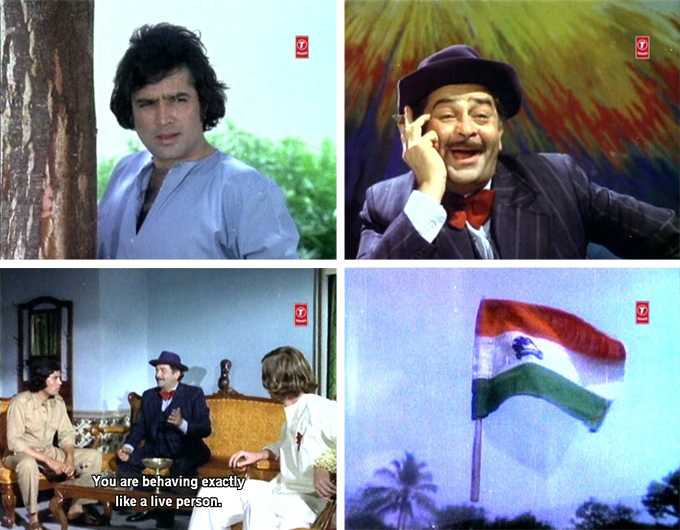 I am very happy that this was not the first Chetan Anand film I saw, because it then may well have been my last, robbing me of films I really love (notably Aakhri Khat and Taxi Driver, but also Haqeeqat, Aandhiyan and Kudrat). I have only ever seen Priya Rajvansh in Kudrat and Haqeeqat, and although I liked her fine in both of those I gathered from comments that her reputation as an actress is…well. Let’s just say I understand those comments perfectly now. She pretty much single-handedly destroys this film with her nails-on-a-chalkboard performance. I have never been so irritated by someone’s voice and demeanor in my whole life. 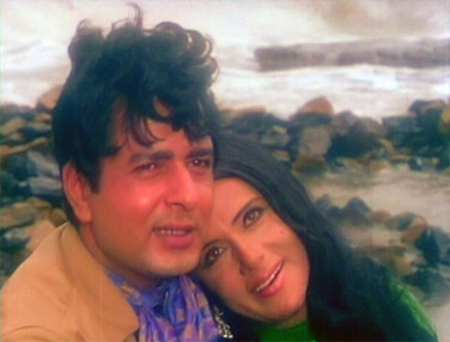 Having said that, I will also add that even without her I would have found Hanste Zakhm disappointing. The story had potential to be path-breaking—I loved the beginning, and it could have developed into something truly thoughtful and interesting; but instead it took the safe (ie ultra-conservative) road and fell flat on its face.